﻿﻿﻿﻿﻿﻿﻿You served. You sacrificed. For that, we thank you. At Texas A&M University-Commerce, soldiers, sailors, airmen, and marines are an important part of our legacy. We appreciate your service and sacrifice, and are committed to your successful transition from military to civilian life. This commitment includes helping you build on your strengths so you can achieve the well-respected bachelor’s or graduate degree you deserve. College graduates earn up to 25 percent more each year than someone who is doing the same job without a degree. The benefits of a college degree increase the higher your degree is and A&M-Commerce offers master’s and doctoral degree options that are highly prized in the marketplace. Knowledge is power. The more knowledge and experience you have, the more willing employers are to promote you. 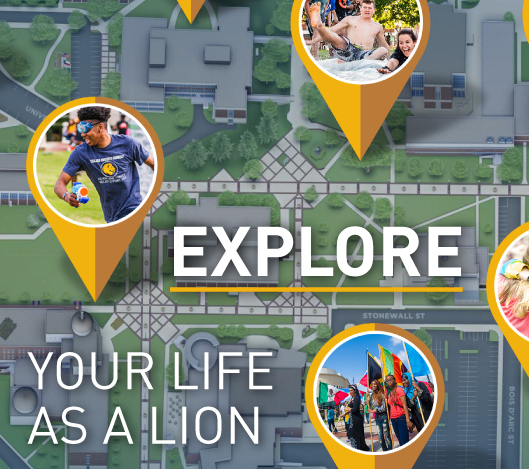 Your opportunities at A&M-Commerce are limitless. Whatever your educational goals are, we are here to help you define and achieve them. We want to know how A&M-Commerce has helped you transition from military to civilian life. Send your stories and military photos to MarComm@tamuc.edu in Marketing Communications.